We await in eager anticipation and admiration to see His Genius as He advances His Cause for us and through us. And, if history is any clue, God will assert Himself and affirm His Word and Purposes in a way unexplainable in terms of human logic and experience. SIGNS FOLLOWING, GREATER WORKS THAN THESE SHALL YOU DO! By the Power and Name of the Resurrected Jesus, Y'shua, we can not only stand for His Name and Words, but STAND in them. But are "miracles" something we seek after or play "magic" games with, or are they part of something far greater than our comfort or entertainment? In a word, the way that our Lord and His Followers walked in the miraculous was Faith born in Fellowship...Faith born in Fellowship with Him. There is much discussion about the role of the “miraculous” (I’ll use this word to cover the whole gamut, if you will allow me that) in christendom today. Undoubtedly there is too much discussion about miraculous “things.” I say that because so often in our circles we mistake the bantering of words, theological musing, and dogma for “scholarship” and “defending the Faith.” Oh, my brothers and sisters, how we rob God of His Glory when we do this. And how we relegate a Risen, Living Jesus to a place on the sidelines, straining to overhear which of us will win the debate about who He really is in this universe of the 20th century. May it never be! I earnestly pray for God’s chastening if I only add, in this writing, more words to the foolish mountain. Yet I feel compelled to chance a few more pages—with snipping out the “Gordian Knot” of confusion, unbelief, and division as the passionate prayer of my heart. Will you come along, and explore some thoughts with me? First, I’m persuaded it’s necessary to ascend in the proverbial “helicopter” and deal with a broader issue. When we discover Truth in the Word of God, how should we “handle” that Truth? A young man was recently asked why he was so enthusiastic about the church that he had just become a part of. God offends our intellect and blows apart the issues that we are “absolutely certain of” to reveal whether our allegiance is truly to Him, or to our belief system and personal security. The real Truth about a subject is often not on the theological spectrum that has evolved over the years. Often the real Truth will even defy our sense of reason. God offends our intellect and blows apart the issues that we are “absolutely certain of” to reveal whether our allegiance is truly to Him, or to our belief system and personal security. This is frustrating to our twentieth-century “scientific method” mentalities, but it is as it should be. “Reason,” “leaning on our own understanding,” eating from “the tree of knowledge,” destroyed our Life in the Garden, and has historically gone on to splinter christendom into 10,000 pieces. And, of course, all of these groups that have been so splintered by eating from the Tree of Knowledge of “Good and Evil,” “Biblical and Un-Biblical,” (rather than the Tree of LIFE), claim to be the correct “Biblical” expression. As the crown jewel of this Ishmaelic and unbiblical and heart-breaking way to view Truth and the Bible, the “experts” in reasoning and “scholarship” in the Bible were indisputably the men that crucified Jesus, the Lord of Glory. As our brother Paul said, “It is the same now.” The real Truth about a subject such as Baptism in water, “Baptism in the Holy Spirit,” Eschatology, Worship, speaking in Tongues, Church government…or the proper view of the miraculous, is often entirely lost. Our routine practice is to sacrifice God’s glorious vision on the altar of “horizontal hermeneutics”—approaching God as if He were a black (white?) hole to be scientifically analyzed, rather than a friendship to be explored. Our ill-advised intellectual arrogance and a bastion of pride and self-preservation have blinded us in many cases to the Way and to the Truth and to the Life. The only remedy? A real-time Fellowship with the I AM. God’s view is likely not even on our flawed continuum. God’s view is like a BMW on the “apple pie spectrum”—not anywhere near our haughty reasoning. The seen world and its statistical probabilities are only temporary surroundings that we followers of Jesus, “aliens and strangers,” abide and work in for the present as we are equipped by our Faith and Obedience for our future jillion year adventure. Truth, as defined by Jesus, isn’t “an accurate Biblical concept.” “Aletheia,” the Greek Word translated “truth,” means “Reality.” Truth is in Koinonia with a living Person—with Whom and in Whom we share our hearts, our souls, our minds and our strength. If it’s not a current Him that you are in communion with and enthralled by, it is a counterfeit of Christ-ianity. Or at least it is a life that is tragically impoverished, unnecessarily. Our religion has been so earth-bound and legal and far, far, far from Him! Consequently, most of our doctrinal framework, the “truth” that we defend, dispute and divide over—is the wrong game in the wrong ballpark. We’re each intent, of course, on being the “perfect balance” of every doctrine. How will we react, then, when we learn that we are wrestling to find and defend the “truth” on a continuum on which God is nowhere to be found? Well, with humility, of course. As we, as “disciples”/ “learners”, always have in the past. Right? Without vision, there will always be division. Unless we turn the “eyes of the heart” (as the Bible calls them) upward to see Jesus and the staggering fullness of His Glory, there will always be division. And envy. And hostility. It is with this perspective of the seen world that Jesus lived out His life here. And the Way that God invites you and I to live—“a new and living Way.” Only in that context will we comprehend baptism, what a church really is, eschatology, church government, church gatherings, worship…or the miraculous. Christ “is all in all”—in HIM all things are held together. HE is the Word that became flesh and tabernacled among us, and the current embodiment of Truth. As the apostle Paul has told us, no one can know what the inspired Scriptures mean unless by God’s Grace, or by living in the same Life that wrote them (Mat.11:25-27; 1Cor.2:9-3:3). Only Christ in His current Glory is worthy to open the Scroll and to loose its seals. A recognition that everything that claims to be of God is not necessarily so may change entirely our perspective of what we see or very much want to see. With that as a backdrop of perspective, we should go on. Consider with me for a moment the two ends of the present day continuum of doctrinal views of the miraculous works of our Father. Remember, as a side note, that according to the Word of God, not all of the miracles performed in Jesus’ Name are truly from Him at all (Mat.7). The fastest growing end of the spectrum (that the Truth seems to lie nowhere on) is a Hollywood version of “signs and wonders.” Sadly, this side of christendom generally exalts mere men and feeds men’s lust for “success” and material gain. Remember, as a side note, that according to the Word of God, not all of the miracles performed in Jesus’ Name are truly from Him at all (Mat.7). Their source, according to Jesus, can be entirely other than our Father—even when in the context of Christian gatherings. Like “Jannes and Jambres” (2Tim.3:8, the magicians of Pharaoh’s court that counterfeited the miracles that God did through Moses), for those that want to know the Truth, “their folly will be evident to all.” A recognition that everything that claims to be of God is not necessarily so may change entirely our perspective of what we see or very much want to see. No doubt many are innocent of intentional abuses, yet unfortunately there do seem to be many blemishes in modern day religious activities. As an example, at times we make God (in our humanness) to be a sort of Genie-in-a-bottle that will “jump through a hoop” if we say all the magic words. He can, some teach, make us rich and heal our illnesses, at our command. Never spoken, but evident over time, is the doctrine that infers the Almighty One’s sole purpose for existing is to do tricks for us and gratify our ambitions and desires. While the impenitent world has set a crash course for destruction, we pack coliseums with impenitent church-goers that safari from meeting to meeting (and man to man). Something inside of each of us loves to see or experience something to titillate the senses and to meet our perceived needs. Those that didn’t grow up doing religion to fulfill those yearnings probably satiated them instead with sports, knowledge, physical appearance, family or profession. But it’s all the same stuff, isn’t it? I’m certain that you get the point. Another frequent casualty is the follower of Jesus with a serious need that was never met. Still with their physical or material need, and guilt added to the severity of their already unbearable situation, they are now on the verge of “throwing in the towel.” Their “miracle” never came as the preacher had said it would. Their “faith” to be healed had swelled to tidal wave power during the meeting…only to be defeated against the rocky shore of their reality the next day or the next week. Such case histories are more than legion. The heartache and physical affliction are intensified by the usual assertion that it was their own personal lack of Faith that had undermined God’s desire and ability to heal them. Please, brothers and sisters! God’s intervention in the affairs of His People is not extinct. And it never will be. We must not develop an imaginary man-made belief system to justify our low-level existence these past centuries. To make bold “doctrinal” statements about God’s alleged unwillingness to break earth’s temporary natural laws for one of His loved ones, simply because you have not experienced such a thing, is very dangerous. God’s intervention in the affairs of His People is not extinct. And it never will be. He remains, as Jesus revealed Him, a loving Father Who loves to give good gifts, and bread from heaven, “continuously” to His children. The very nature of Christ-ianity itself demands a Faith that allows God to deal “miraculously” (intervening in and interrupting the normal course of events to show Himself Mighty to save). Even the angels and their current role are often disregarded or forgotten, to our loss…. It is simple, base-line, normal Biblical Christ-ianity to turn to El Shaddai, the Lord of Hosts and eagerly anticipate that He will hear your cry and answer. It is clearly “impossible” to even please God without this kind of Faith, Trust. Again, we can only please Him if we view Him as a Father who “loves to give good gifts to His children” and to intervene in our family, finances, job, neighbors, children, crises and events of every sort. It is simple, base-line, normal Biblical Christ-ianity to turn to El Shaddai, the Lord of Hosts and eagerly anticipate that He will hear your cry and answer. If not, what was Jesus talking about, and living, while He was here?! If not, what in the world is “prayer”? Is it what one “professor” (double meaning?) of a christian college recently taught: the equivalent of TM, good therapy? Must we invent a theology and a christianity that is nowhere to be found in the Bible—to justify our poverty? Must we invent a theology and a christianity that is nowhere to be found in the Bible—to justify our poverty? The Deistic end of the spectrum is a sad place to live. The rejection of the self-centered “name it, claim it” escapades is understandable. However, the “conservative” school’s renown for bitterness, mockery, debating and slander towards those they don’t agree with or understand is ample proof that they too are out of touch with God’s Heart and Word. Still, often, it has pleased Him to refine our character and fortify our Faith by using mere men to do the Work that He could have easily done without us. Throughout history the Glorious Creator of the Galaxies has used men to do His bidding. He has always used, in addition to an infinite number of other means, folks like you and me to part the Red Sea, raise the dead, heal the sick, call down fire from Heaven, and to give sight to the blind. The list seems endless of the wonderful displays of His Kindness and His Power that he has worked through men. Certainly, many times, our God intervened in what we might call “providential” ways. He is well capable of mighty deeds “all by Himself”—or without any more involvement on our part than prayer. He struck entire armies blind, destroyed Dagon’s idol without man’s “help,” and made the sun stand still. Still, often, it has pleased Him to refine our character and fortify our Faith by using mere men to do the Work that He could have easily done without us. Why did Almighty God require Moses’ help? He didn’t; but it was His choice to Glorify Himself by using a mere man. The Victory over satan himself was, and will be, by men!!! That’s the glorious mystery that is mind-blowing to even the angels!!! (Col. 1:27, 2:15; Eph.3:10, 20; 1Tim.3:16; Acts 7:56; Rom.16:20; 2Cor.4:6-7; John 14:12-14; Mark 11:22-25). He uses men! It is, after all, His prerogative. Now tell me, why couldn’t the Creator of the Universe just destroy Israel’s adversaries with a celestial bonfire? Why all the drama? Why use a mere man to do a miracle? Why use anyone? “What I have I give to you?” Mere men? Of course it was “not their own power or godliness” as Peter himself had said. Even so, it was still through men. Who did all of these things? “What I have I give to you?” Mere men? Of course it was “not their own power or godliness” as Peter himself had said. Even so, it was still through men. Not just “Dear God, if it be thy will….” —but “what I have, I give to you.” Amazing that a mere man could say such a thing. Yes, God uses men, not just remote answers to vague doubting prayer. Is all of this just for a particular group of people in a particular place and time? Did God only desire to use men “in the olden days?” Is the extent of God’s Activity amongst men really limited to our supernatural heroes like John and Paul and Thomas now imprisoned for eternity as gaunt, two-dimensioned men…sunday-morning cartoons on our “church” windows? As we have seen, if this were true it would invalidate the Word of God. As the parallel passage in Mark 16:20 demonstrates, “Lo, I’ll be with you always to the very end of the Age” is not simply a promise of companionship. Though God has always used men to do marvelous things in His Name, it has never been the case that those men could do miracles “carte blanche,” at their own whim and will. 1) Why did the apostle Paul leave his good friend and co-worker Trophimus desperately ill in Miletus? Why didn’t Paul simply lay hands on him and heal him? No problem for an apostle, right? 3) What was the great concern over Epaphroditus on his death bed? Surely for a “brother, fellow worker and fellow soldier” Paul could have set aside the time to do a healing. With his apostolic power, why did he instead just mourn at his brother’s bedside and imminent death? Would you taunt, or doubt, the apostle Paul? Not I! Maybe you can see already that the mockery about graveyards and hospitals mentioned earlier isn’t very Biblical, or Godly? In the context of Paul’s life, this obviously does not mean that Paul (or any of the other apostles) must be able to do magic tricks to impress the cynics on cue. Yet, there is something very remarkable that you must see about the nature of the miraculous…. Maybe a few more glimpses of what seems to me to be more characteristic of the true nature of the miraculous—stripped of its Hollywood trappings, would be helpful. Actually, the “miraculous” isn’t like that. And it never was. 5) Read Acts 17:1-34. If Paul was really a “miracle-working apostle” why didn’t he just do a light show for the Athenians? Then they would have believed he was a “sent one,” an “apostolos.” But again, that’s not the nature of the miraculous. And it never was. 6) Paul said to the brothers and sisters in Galatia, “As you know, it was because of an illness that I first preached the gospel to you.” “Physician, Heal Thyself!” Was Paul a fraud because he couldn’t heal himself and his friends whenever he wanted to? I really think not. The Gospel According to Hollywood and the Church According to Constantine and Rome have ruined both ends of the spectrum! Some are “goo-goo,” chasing signs and wonders. Others are so turned off because of abuses that they’ve lapsed into cynicism and deism (which is Biblically known as unbelief). There is a higher way! Jesus Himself, the “Rosetta Stone”—the translation key of all Scripture, never went to the graveyards, except to retrieve His friend Lazarus. Never to demonstrate power in a spurious way. Let’s strip away a tad more of the misconception that surrounds the common continuum of the “miraculous”…. 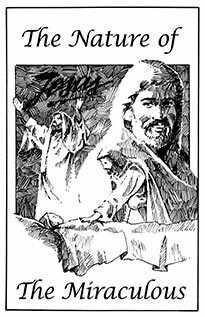 7) James, the brother of John, walked with Jesus in the enviable position as one of the three men closest to the Master. He, along with his fishing partners Peter and John, had been continually right there by Jesus’ side receiving special training. The “three” were the only Disciples invited to the mount of Transfiguration, the raising of the dead child of the synagogue ruler, and the inner circle at the Garden of Gethsemane. Even the other apostles of the Lord had not received the degree of intimate grooming and spiritual cultivation that James and his two comrades had received from Rabboni, Jesus. Surely God had very special plans for James. The Omniscient Son had poured so much extra time into him that God, the Apostles and the church would have every reason for keeping James alive, right? Enter Herod. In Acts, chapter 12, we find recorded the execution of James “by the sword.” With all of those super-naturally empowered apostles nearby, and James himself (allegedly) licensed to do the miraculous at will, why didn’t someone protect him? Or at least raise him from the dead? James’ body was slain. Surely if anyone had the qualifications to stay alive by miraculous power it was James. But, in fact, the miraculous of God is not that way. And it never was. 8) In Acts, chapters 6—8, a great man of God named Stephen emerged from the ranks of the new Christians into a place of service in visible leadership. As Dr. Luke, the scribe of God’s Word in the Book of Acts, wrote: Stephen was “a man full of God’s grace and power, who did great wonders and miraculous signs among the people.” In spite of his “power” to do miracles, it certainly could not have been a carte blanche freedom to do whatever he pleased, whenever he pleased. If he had that “ability,” he was rather masochistic to allow the angry religious leaders to pound him with religious rocks until he was dead. And then, to top that inconsistency in the usual continuum of thought, the Bible records that “Godly men buried Stephen, and mourned deeply for him.” Surely it was an easy matter for any apostle to raise him from the dead instead of simply mourning for him. By modern reasoning, “These apostles are frauds! They can’t even do the ‘signs of an apostle’ of 2 Corinthians 12:12 and Romans 15:19.” Or, just maybe, they weren’t frauds. Maybe, just maybe, we’ve not quite understood the miraculous. Yes, God uses special men. Is it possible that even Jesus “could do only what He sees the Father doing” (John 5:19)? And sometimes, at His discretion, He used even their shadows, or a used hanky of a Man of God (Acts 5:15; Acts 19:11-12)! Yet, there is something very remarkable that you must see about the nature of the miraculous…. This passage doesn’t really fit anywhere on the normal continuum of the “doctrine of the miraculous.” If Jesus had unlimited authority to do miracles whenever He wished, why would the Holy Spirit distinguish a time when “the power of the Lord was present.” And why could Jesus do only what He currently saw the Father doing, “binding on earth what He saw had been bound by His Father in Heaven”? I Tried To Tell Ya. It Ain’t On the Spectrum! In a word, the way that our Lord and His Followers walked in the miraculous was Faith born in Fellowship. Not Hocus-Pocus. It never was hocus-pocus. Faith born in Fellowship. Faith born in Fellowship with Him. As I mentioned regretfully a little earlier, the “miraculous” seems to me to be so abused by some that our Father has become a kind of Cosmic Santa. I know that so many hearts want desperately to see something worthy of the Lord of Glory, “on earth as it is in Heaven.” That’s so right! Don’t ever give up on that heart-plea! Please, though, guard your hearts and your minds in Christ Jesus and His Character and Word. Others have been almost irreparably damaged by some of the extremes, and have “fallen short of the Glory” and the true Splendor and joy of the second (and LAST!—there is no third) Covenant. Brothers! Please don’t let any mere men rob you, either by their abuses or by their empty doctrines and traditions. Look with an open heart and mind at the only New Testament church and Life that is portrayed and displayed in the pages of His inspired Word! There is no other kind of Christ-Life, no other kind of Christ-ianity, no other kind of church, than the one recorded in the Bible that “lived life to the full” by the “power of an indestructible Life!” Settle for nothing less. Have You Been PLUNDERED by the Traditions of Men??? Don’t let anyone persuade you to accept anything less than the substance, the nature, the magnitude of the individual and church life that you read about in the Word of God. OK?! “Life to the Full” ? ...God intends to use us to “cast into the sea” lies in an unshakable faith born in Fellowship with Him, not our horizontal ideas and desires. But where does this “Faith” to throw mountains into the sea for “all who believe” come from? Conjuring it up? Fleshly ambition? Brute force determination: “I will believe, I will not doubt. I will believe. I’ve got a picture of it in my mind now. OK. No, no, no! I refuse to doubt! On the count of three: One. Two. Three… Jump mountain!” Too many have been deeply hurt by that teaching. It’s not that at all! It can’t be that. The answer to which mountains God intends to use us to “cast into the sea” lies in an unshakable faith born in Fellowship with Him, not our horizontal ideas and desires. It cannot be random, shot-in-the-dark “faith” in whatever we decide to ask about. Rather, it is faith resting in the “title deed” that He has conferred upon us in our Fellowship with Him. Our prayer originates from Him and we return it to Him. On the other hand, it is easy to see that the response to abuses is not to write all of the verses on prayer and God’s character out of the Bible by a man-invented, undocumentable theory of “first century only!” That’s not Christianity anymore. At least not one that you can find any reference to in the Bible. You’ll never know much about faith in prayer and the miraculous…unless you know Him in intimacy. It can only ever be Faith born in Fellowship. This verse is either true or it isn’t. I’m convinced that it is 100% true, in every case. How about you? How do you view the Scriptures? Do you really embrace them as God’s Word? If this verse is true, absolutely, and the answer to prayer is dependent upon “knowing that He hears us,” then how do we “know that He hears us?” I’m only going to plant a seed or two, but may God grant that someday, before it’s all over, we might all discover a Life in Him that is not even in the same dimension as the doctrinal continuum that has robbed so many (on both ends of that spectrum). Spend much time “eating the Scrolls” (rather than simply skimming them, or analyzing them, or pigeon-holing). Pray actively through these verses and actively lay your life before God as a living sacrifice. As the Master-Teacher said at one point to His disciples, “Go and learn what this means.” This is no cutesy theology or nursery rhyme! It’s all the reason and Hope of Eternity! (John 17:3; Rom.8:14-17). Spend much time “eating the Scrolls” (rather than simply skimming them, or analyzing them, or pigeon-holing). Pray actively through these verses and actively lay your life before God as a living sacrifice. “Go and find the meaning” of these verses…. The heartbreaks and failures that you do encounter will serve only to draw you deeper into the “full measure of the stature of Jesus Christ”—which, of course, is the Father’s ultimate objective for you and I. Catch this! With a life marked with that kind of Fellowship with Him, you’ll grow to ask very little that is not “according to His Will.” The heartbreaks and failures that you do encounter will serve only to draw you deeper into the “full measure of the stature of Jesus Christ”—which, of course, is the Father’s ultimate objective for you and I. (Prayers answered or unanswered are only one of God’s tools to move us closer to that awesome Stature that He has called us to participate in, and has equipped us to enjoy.) Keep God’s “end” in mind—don’t simply look at the boundary markers along the Way! I would love to say so much more. But that’s enough, I pray, to cause us all to realize the adventure and the power and the beauty of what lies ahead as we all pursue Him and His Purposes for us, individually and corporately. As we take a forward look, I hope that we see a Holy Nation, a Royal Priesthood, a church that the Gates of Hell are no longer prevailing against! A Chosen People who are living as the Corporate Christ that brings all men into the “Valley of Decision,” “binding on earth what they see has already been bound in Heaven.” A Community of God’s Elect that are not “following signs” for their own benefit. Simply a Church that is bringing forth such a pure and powerful Testimony of the Son, His Son’s Kingdom, and His Word that God can, after such a long, long drought, afford to “confirm His Word” and vindicate His Faith-filled Servants. Long for the Day! Press towards the Day! ...No one who knows the King of all the Kings, Jesus, the Christ of God, personally (as a friend) could have any remaining question about His Character and Power! By the way, no one who knows the King of all the Kings, Jesus, the Christ of God, personally (as a friend) could have any remaining question about His Character and Power! Or His commitment to act on behalf of His People—now and for time and eternity! That’s just Jesus. When you stand in His Presence, you drop all attempts to analytically pigeon-hole Him! That’s our Jesus. That’s who He is! The I AM. But those days are over. Amen? As for you? Only one mortal man walked on water with Jesus that stormy night. The one that stepped out of the boat of doubt and fear, peer pressure and man’s carnal logic. Will you, like most, die of old age in that boat? Or will you plant your feet firmly on that which only the power of God can sustain? Will you? Where do You Turn in Crisis, Pain or Sickness?